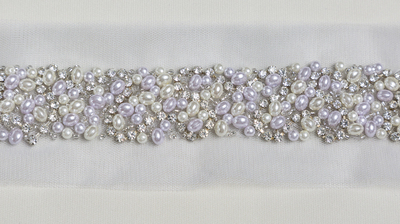 Roisin Cross Silks collection of beading’s, trimmings, and motifs are simply stunning are a wonderful complement to our fabric collection. 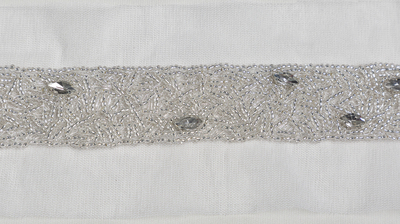 They originate from both India and England. 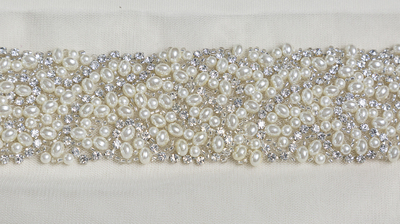 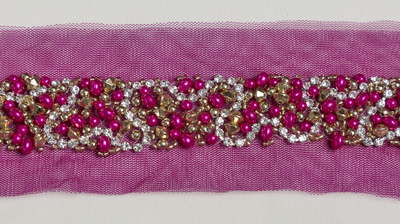 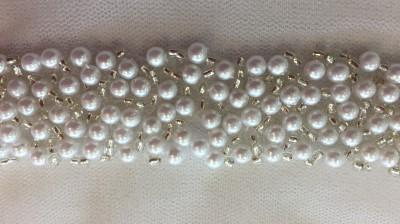 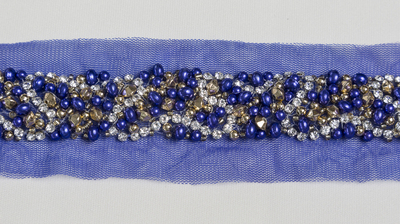 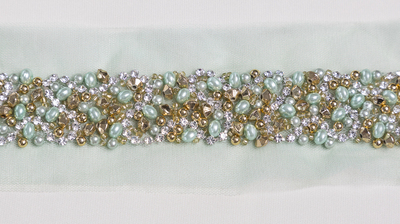 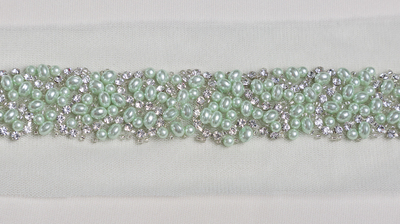 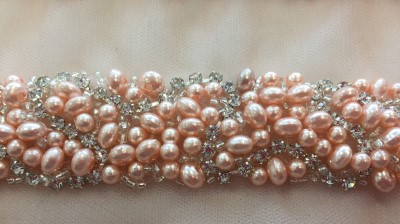 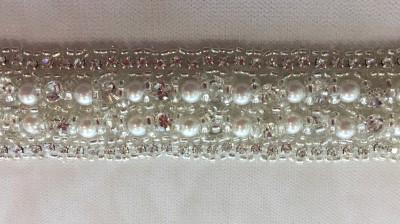 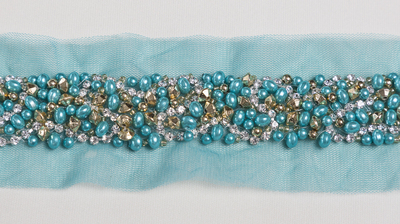 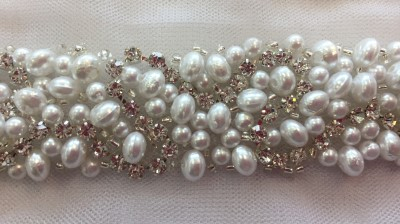 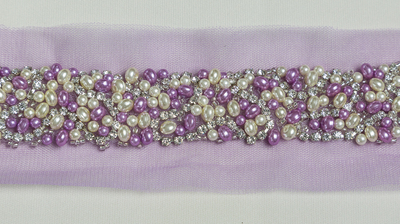 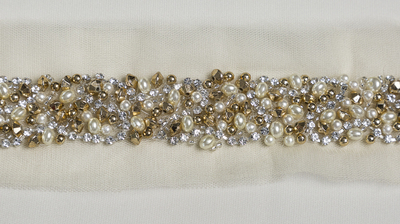 Our pearl and diamanté beadings are available in a 14 colours. 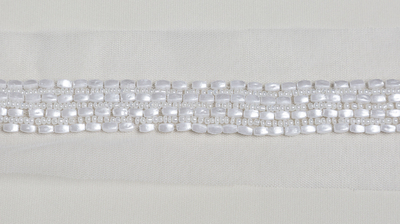 Our edgings and trimmings are available in both plain and embellished lace. 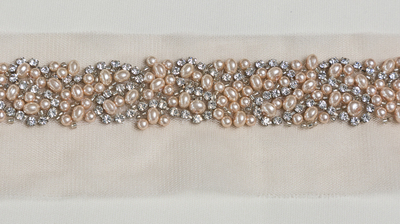 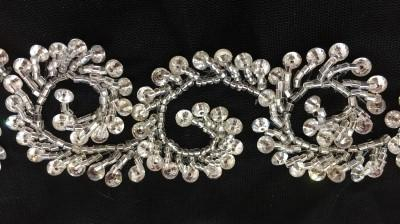 Our motifs are individual pieces which contain pearls and diamanté on lace. 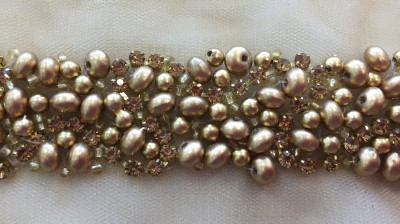 They are sold per piece, per metre, or per pair so there is quite a fluctuation in pricing ranging from €15.00 to €320.00. 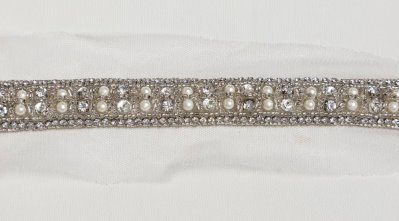 Unfortunately it is not possible to sample our beadings, trimmings and motifs. 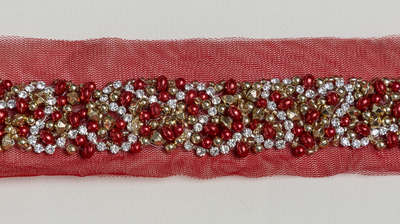 They are all coded and priced individually, are in stock (unless noted on site) and may be posted by mail order.